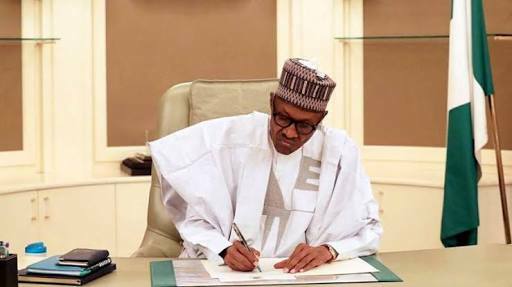 Nigeria’s President, Muhammadu Buhari has signed a bill which allows State Judiciary to directly access funds to their credit, and no longer through the state governors. This was announced by the Senior Special Assistant to President Buhari on National Assembly matters, Ita Enang, while briefing state House journalists on Friday June 8. “I just want to inform you that His Excellency President Muhammadu Buhari today assented to the Constitution Fourth Alteration Bill which grants financial authonomy and independence to the Houses of Assembly of the respective states and to the Judiciary of the respective states,” Mr Enang said. Mr Buhari also assented to three other bills.